1. For those of you who love to sweat it out at the gym, specially designed gym towels have been created especially for them. Brightly colored and printed—both graphic and otherwise—these instill a fun filled attitude to your mundane daily workouts, while making you the style icon out there. 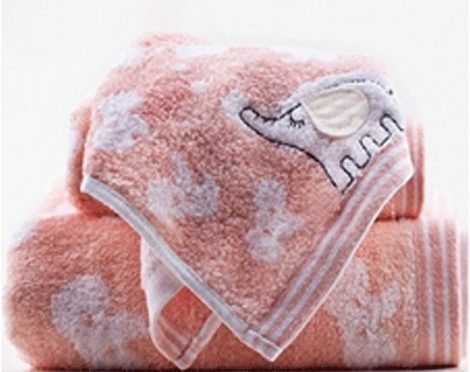 In fact, nowadays, with the option of customizing your own towel doing the rounds, you can create your own favorite towel that shouts out your personality and motto to the whole wide world without being too “vocal”. So, gift yourself one of these if you’re a gym addict. 2. Are you a soccer crazy person? Well, no matter whether you play it or not, you can gift yourself your favorite football team’s logo towel anytime. It’s not cliched like the jerseys you see every day and it’s indeed very personal. In fact, if you want, you can also customize your own football towel. And, if you want to refrain yourself from using those “jersey” towels, you can also get different abstract football prints printed over your towel and make them look smart and dashing. 3. This goes out specifically to those teenagers who eat, drink and live sports. On your next win or even birthday, you can gift yourself one of the sports towels. These are very smart and cool, and showcase your love and passion for sports just perfectly. In fact, these are brilliant gifting option to your best buddies who is as much addicted to sports as you are. And, if you’re creative enough, customize the towels and surprise your buddy! 4. Graphic printed towels are much in—they are soft, comfortable, multi-usable and chic. So, be en vogue from now on, and gift yourself one of these intricately patterned graphic towels. Use it as a personal towel, bathing towel or even as a workout towel, they promise you a relaxed feel with a pleasurable touch always!